Every year, from March through October, Jeep hosts their official Jeep Jamboree events at some of the most beautiful trails all across the U.S. They say, once you go on a Jeep Jamboree, you’ll never look at nature the same way. It’s a great opportunity to be in a controlled environment where expert trail guides are available to show you exactly what your Jeep is capable of. Jeep Jamborees are designed to match every skill level. You will find a good mix of first-timers as well as veterans attending Jeep Jamboree events, so don’t think you’ll feel out of place if you’ve never been to a Jeep Jamboree before. 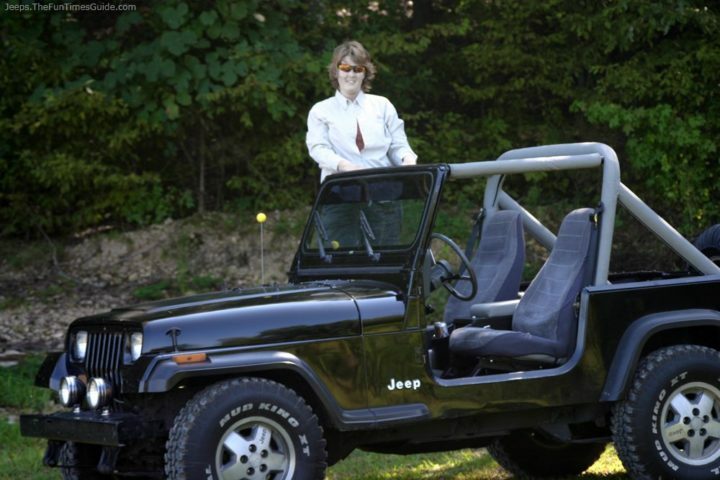 Jamborees are strictly for Jeep vehicles (any Jeep model in good condition); there are no exceptions. All vehicles are subject to inspection prior to trail departure. Jeep Jamborees take place rain or shine, and don’t think that a little (or a lot!) 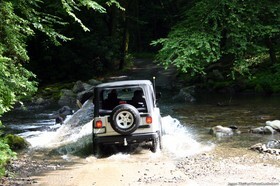 of snow would postpone an event …We’re talking about Jeep vehicles here! Included in your Jeep Jamboree registration fee (typically around $250 per person; prices vary by location) are: meals, all the necessary permits for off-roading, experienced guides, and more. 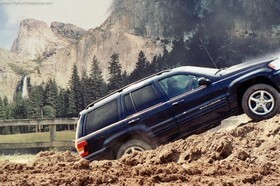 It’s worth noting that several of the Jeep Jamboree trails are only accessible through this program. No partial trips are offered, so even if you cannot attend one or more of the days’ events, you must pay the entire registration fee. No spectators are allowed. All participants must be officially registered and pay the registration fee. There are discounts for parties of 4 or more. Seat belts are required for each person in the Jeep. 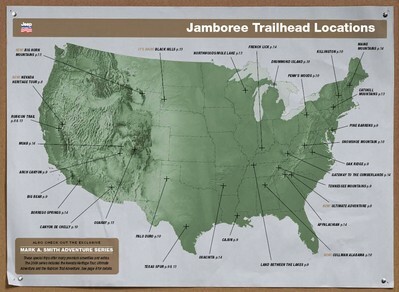 Every Jamboree trail is rated from 1 (easiest) to 10 (most difficult). In general, the higher the trail rating, the greater your likelihood of encountering vehicular damage. While they don’t recommend it, they do allow pets at Jeep Jamborees, as long as you agree to the terms of the pet waiver. As always, kids are allowed. And to make it even more fun, there are prizes available to participants at each Jeep Jamboree event! 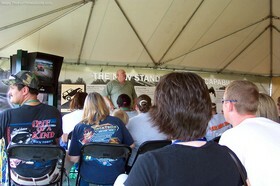 Check out the official Jeep Jamboree FAQ. …Perhaps we’ll see you there! Here’s what it’s like off-roading at Land Between The Lakes. I would encourage you to pick one of the Jeep Jamborees from the list above and make it a fun road trip this year. After you pick a Jamboree, check out the official details for each Jeep Jamboree location. You also need to complete the official registration form and waiver. So pack your gear, your friends, and your kids into your Jeep and steer in the direction of the fun-filled Jeep Jamboree nearest you! Be sure to check out the official Jeep Jamboree website for everything you could possibly want to know about Jeep Jamborees including the event nearest you, plus registration information, local hotels, camping options, trail ratings, and other travel resources specific to each individual Jeep Jamboree location. Also, The Jamboree Experience is a .pdf that contains all of the nitty gritty details.